The Heart of this site! Figures, boxes, and accessories! What are these figures worth today?! The Great White North Figures! A great look at the Plastimarx figures from down south, Mexico way! What are those strange markings??? Prototypes, Test-Shots, Mold Samples, Saleman Samples, etc. A guide to help you grade your collection, this is how I do it. What comes with each figure? Across the plains, hear their thundering hooves! For ranch or a night on the town. 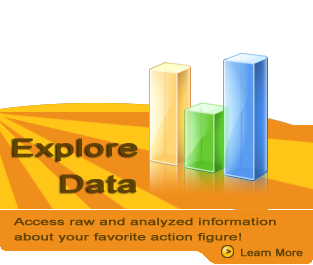 This site is dedicated to the Marx 12 - inch action figures. 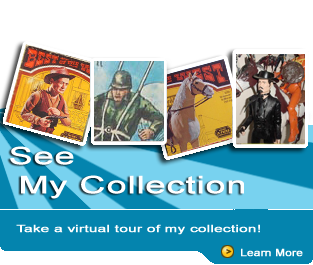 In these pages you can rediscover the old, examine the new and start your collection! Navigation: The banner / menu bar at the top is repeated on every page to help you navigate through the site. The Figures, Accessories and Horses sections are pretty self evident. 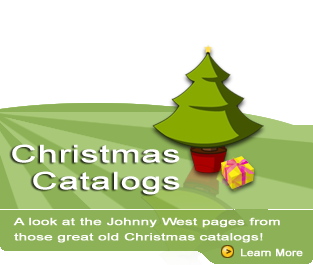 The Other section deals with those other Johnny West related toys that aren't figures, horses or their accessories. There are special areas all over the site - make sure you check out the footer section.